Details This gorgeous stone litho British quad has survived from 1944 with printing by ELECTRIC Modern PRINTING CO LTD of Manchester 8. 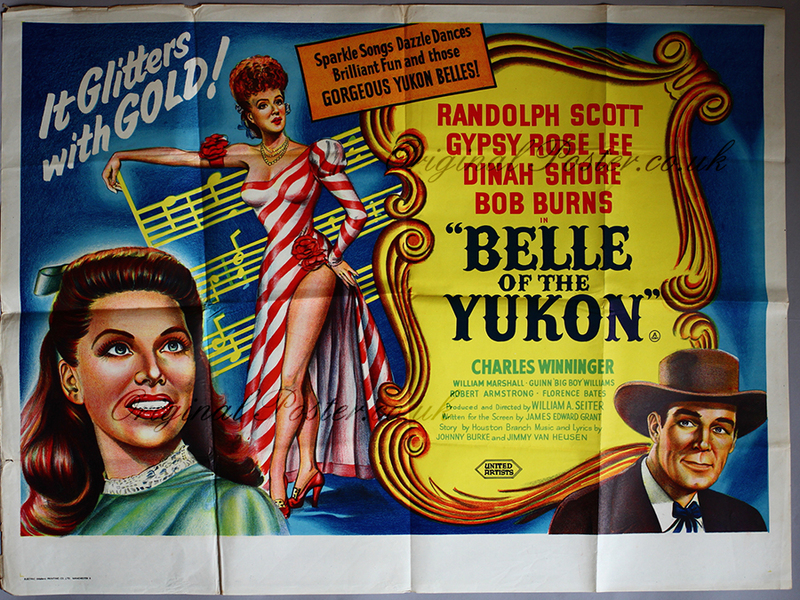 The gold colours and tagline reinforce the setting during the gold rush. Interesting fashion statement by the belle Gypsy Rose Lee with Dinah Shore adding further love interest. Randolph Scott is painted too as Honest John Calhoun.